I know these have been out for some time and many people have reviewed them, but I love them and I love MAC so I wanted to give my two cents. Amazing texture, blendable and super creamy. Since they are creams, the effect is very natural on the skin. Here’s a picture of how they look on. I’m not wearing any makeup apart from the sculpting creams, foundation (NARS Sheer Glow), and lipstick (in the second image). Looking crazy. These are fun to apply. Overall, I love these. I give them an A+. I typically blend them with a Real Techniques buffing brush or dip the Expert Face Brush into the products if I need more. The only negative (which is totally my fault) is that Pure Sculpture is too light for me. It’d be perfect for fair skin, but for my medium skin tone it barely shows up when I blend it. I was afraid of picking a darker color in case I look over contoured, but I should have gone darker. I need to pile on Pure Sculpture for it to show up once it’s blended which makes me risk looking cakey. So I’ll be picking a darker color for contouring. Accentuate is perfect for highlighting. Hope this was helpful! Also, if you’re interested in winning an Urban Decay Vice palette enter my giveaway here. This is stunning! You did such a great job applying it 🙂 Well done. 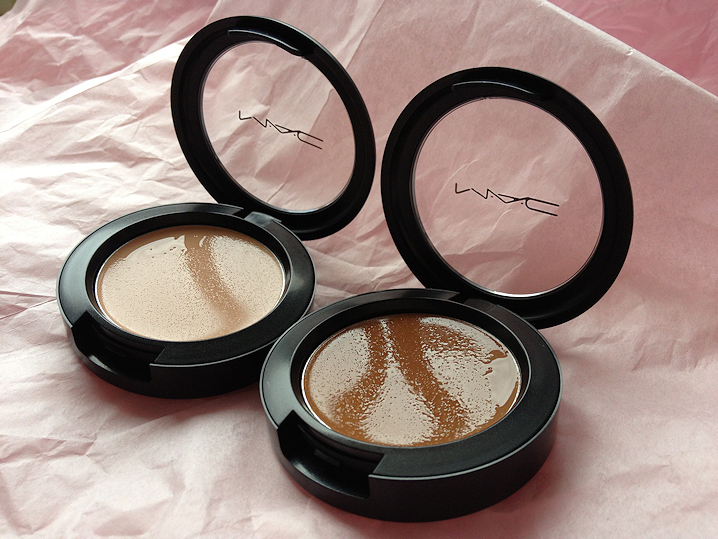 defo going to buy these when im next at MAC. those look amazing! I am definitely going to have to try them out. Wow great post! Must buy these next time I'm at a MAC counter! These look like a lot of fun to play with! They look great on you, are they super oily? ah this looks amazing and i love how you showed how to apply it ! Wow, these look incredibly blendable and natural. Love how you demonstrated the placement of the products as well as the results after blending. Very interested in these products! I've been wanting to try their cream contour. I think Pure Sculpture might work for my skintone. You managed to make it work for you. These look so good! I really want them both! I really want to get these just to play about at being Kim K haha! I realllly want to try some of these!